Having a few over the next couple of weeks? Works Christmas do? Maybe just a few down the local? Whatever your tipple of choice, it’s safe to say most of us will be having a tipple or three over the Christmas seasons. Something not everyone considers however, is if they’re sober and safe to drive the morning after the night before. It’s an important thing to keep in mind, especially if driving is part of your job… say, reviewing cars for the UK’s favourite leasing marketplace. 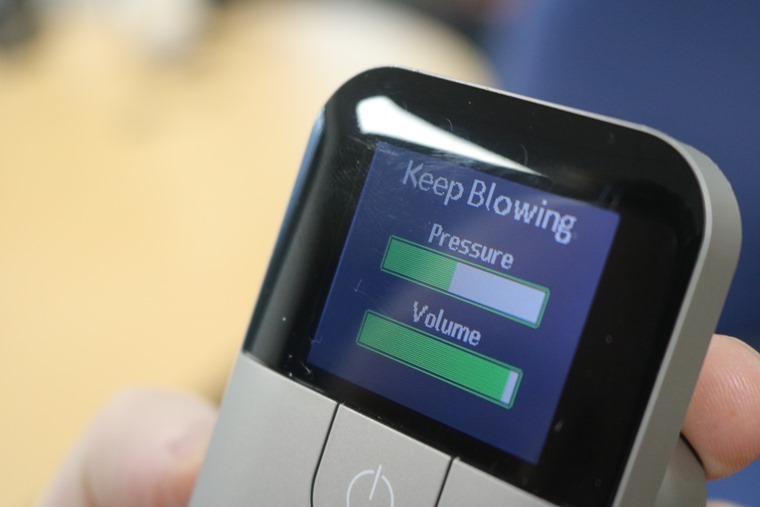 Happily, a plethora of personal breathalysers have hit the market in the last few years and, wanting to see if one would be worth the investment, we duly armed ourselves with an unspecified quantity of lager and embarked on a spot of research. The equipment we chose to tackle this illustrious fact-finding missions was Amstel. The makers insist it tastes best ‘chilled in Amsterdam’, but we’ll have to make do with Stockport. Despite being Europe’s second most popular beer, the UK has yet to fully apprecia…oh, hang on. 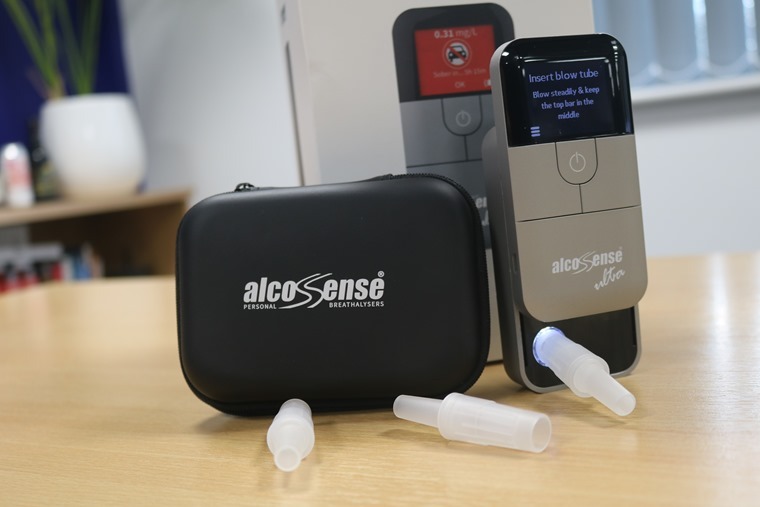 Edit: The equipment we chose to tackle this illustrious fact-finding mission was the AlcoSense Ultra, and costing a rather hefty £249.99, it could be said it’s the Rolls Royce of personal breathalysers. If your budget doesn��t stretch that far however, products that use similarly accurate tech are available for less than £100. 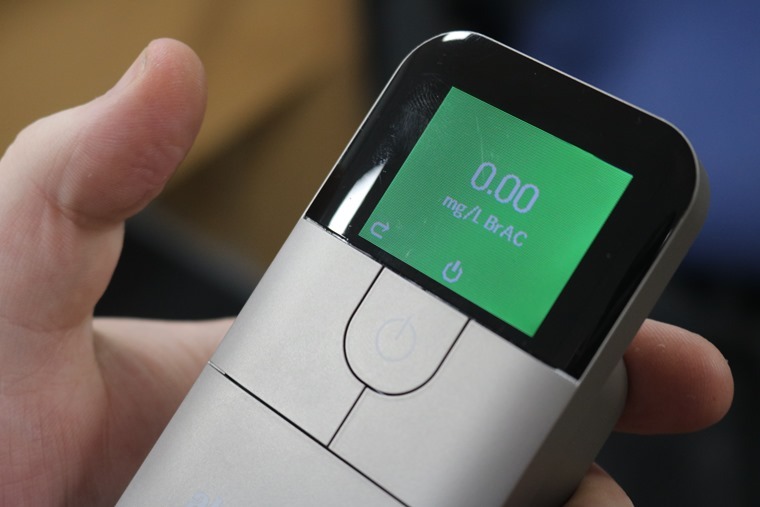 Whatever brand or price-point however, the thing you need to check is that the product in question is a fuel cell-type breathalyser. It’s the same tech used by police forces around the world, and their accuracy and reliability make all other options rather redundant. The Ultra in question features some nifty – if not essential – extras. It can tell you how long until you’re sober for example, and even has an alarm you can set that will alert you when you’re ok to drive. 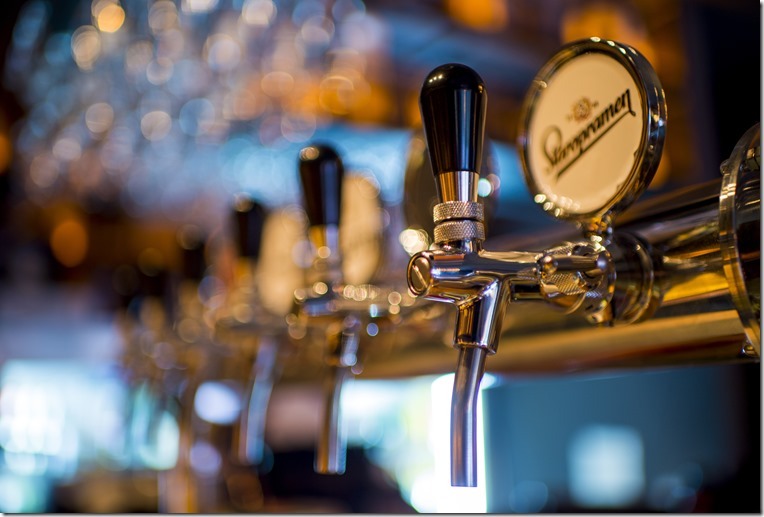 In case you didn't know, the legal alcohol limit for drivers in England, Wales and Northern Ireland is a blood alcohol content (BAC) of 0.08. That equates to 0.35 Mg of alcohol per litre of breath, as you’ll know if you’ve ever watched an episode of Police Interceptors. At this point you might expect us to reel off our own readings, but considering the amount of variables involved, it’s probably best if we don’t. 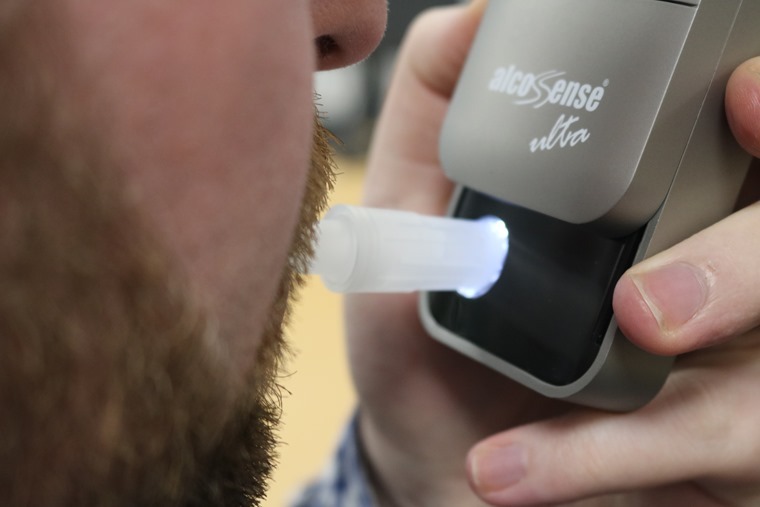 Since the breathalyser’s inception back in the 60s, lawmakers have been very wary of publishing any figures that could be used as a guide to the amount of alcohol you need to drink to take you over the legal threshold. This fact is that the rates people absorb alcohol vary so much, it’s almost impossible to set a guideline. There’s the old rule of thumb that two pints of sub-4% beer, or two small glasses of wine take you up to the limit, but that doesn’t work either.. Gender, metabolism, weight and what you’ve had for dinner all contribute to how quickly your body processes alcohol, so everyone is quite literally different. Anyway, after five 330 bottles of delicious Dutch 4.2% lager over a period of three hours, my own reading came back at 0.29mg/L of breath – meaning surprisingly, I’d be JUST under the limit in England, Wales and Northern Ireland, but some way over it in Scotland. Thing is, you wouldn’t dream of getting behind the wheel after that amount of alcohol but, as far as the law is concerned, I’d have been fine to drive. The problem is the drink-drive limit itself, and we’ve long called for a change to bring it down into line with most European countries. Where the breathalyser really comes into its own however, is the morning after. 8am, and it’s good news! My BAC reading was 0.00% and therefore fine to drive. So what can we conclude? Firstly, that personal breathalysers are useful devices if used as they should be – that’s to say the morning after. Figures show that more than 30% of drink drivers are caught the morning after, so they really can be indispensable. As road safety advocates, we must say that they really shouldn’t be used if you’re planning to drive home after festivities to see if you’ve reached the limit though – playing the game of limit limbo dancing is dangerous and can have deadly consequences. Our rule would be that if you’ve drunk enough to consider using a breathalyser down the pub, then you’ve certainly drunk enough to make a taxi the best option. But, if you’re going on a stag party where nobody goes near the drivers’ seat of a car, we can imagine that some people might find it a very, very fun thing to take away with them. As always. Please drink responsibly.